There are few things worse than the death of a child. According to a recent news article from ABC 40, a community is in mourning after death of a seven year-old girl who was killed in an alcohol-related car accident in Springfield, Massachusetts. Authorities are saying defendant, a 48-year-old woman, was charged with Motor Vehicle Homicide following the fatal accident. The young victim was crossing the street after leaving the library. She was with her mother and another relative when all three victims were hit by defendant’s car. Police estimate defendant was traveling at 42 mph and failed several standardized field sobriety tests. The three victims were taken to a local hospital where the young girl was pronounced dead the following day. The other two victims are still recovering from the accident, and their condition is not considered life-threatening at this time. In addition to the negligence of the alleged drunk driver, witnesses say that a crucial street light may not have been working at the time of the accident. The city mayor has ordered the local utility company to investigate the condition of the light at the time of the accident. Students, staff, and faculty at victim’s elementary school were also rocked by this tragedy, in addition to her family and other community members. Victim was described as a kind and gifted little girl who was well liked by everyone. As our Boston drunk driving accident lawyers understand, the loss of a child in an accident such as this is an unimaginable tragedy for a family to go through, especially if other family members were also hurt in the accident. 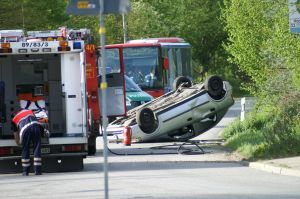 Unfortunately, it is often during this time in the immediate aftermath of a tragic accident that at-fault driver’s insurance company will contact surviving family members and offer to pay for funeral expenses and some medical bills, if the family agrees to sign a release preventing them from suing at-fault driver in connection with the fatal accident. It is important to understand that insurance companies are large corporations at are generally far more concerned with their profit and loss statements than the financial needs of a family that just suffered an unfathomable loss. The main way insurance companies make money is by collecting as many premiums as possible while paying out as little money as possible in claims for accidents, including those caused by suspected drunk drivers. The insurance agent will often tell family members that they are concerned about the wellbeing of the family and want to help them though this difficult time by providing immediate financial support. This could not be farther from the truth, and you should speak with an attorney who regularly handles car accident cases before making any statements or signing any paperwork. You need someone on your side who will aggressively represent your best interests and fight for your right to fair and appropriate financial compensation. In cases involving the death of a victim, financial compensation can include pain and suffering, medical bills, funeral expenses, lost wages, loss of consortium, special damages, and in some cases, punitive damages.